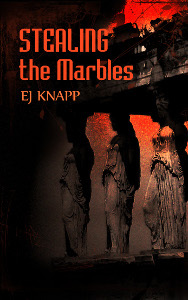 Welcome to the page devoted to my novel Stealing The Marbles. Here you can read an excerpt, learn a little bit about the Parthenon Marbles, find links to the reunification effort for the return of the Marbles to Greece and, of course, buy the book if you so desire. If at all possible, please support your local Indie Bookstore. If you can’t find it there or if they can’t order it for some obscure reason, you can buy the Tree Book or eBook at Amazon, Amazon.co.uk. If you read your books on a non-Kindle eReader or on a smartphone or tablet, you can download the eBook at B&N, Smashwords and Google Play/Books. Read chapter one of Stealing The Marbles. Danny does a lot of traveling in his adventure. If you’d like to see all the places he travels to, check it out HERE. Here is some information on the Parthenon Marbles that you might find interesting.